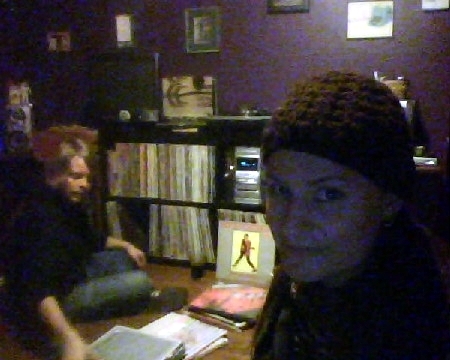 I was interviewed by the lovely Yasmine at the online magazine Parasol. Check it out if you would like to read an interview of me. A few years ago there was this holiday meme going around livejournal. You were supposed to list simple things people could give you as gifts or some such. You know, a hug, some stamps, a poem, a hand made item. Well, I put on my list for someone to make me a Wikipedia page. Alan Lastufka took up the challenge. The Alex Wrekk entry was debated and eventually taken off the site. This prompted Alan to create Zine Wiki so that zine people can document what wikipedia doesn’t find notable. Well, apparently someone put up another Alex Wrekk wikipedia page and it is already being cotested. Maybe I don’t deserve a wiki page but my friend Lilly made a joke about how if you have and ISBN you deserve a wiki entry! I’d love it any of you could fill in some info. There were some external links but they seem to have been taken down too. Also, I got more green coffee beans and have been roasting again. I only use Fair Trade and organic coffee. Most of it is shade grown as well. Feel free to check out my Etsys Shop and check some out. Right now I’m off to Liberty Hall to the first ever Portland Anarchist Bookfair. I have some buttons to deliver for the Red And Black cafe and books to try to sell. i’m a bit nervous though, I haven’t been to Liverty Hall since I stopped working there 3 years ago. weird. 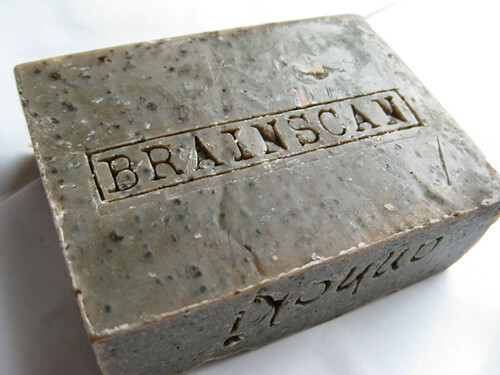 Anhoki has some Brainscan Coffee soap listed in her shop right now if you would like to get some for yourself. It mixes my craft roasted coffee with her hand made soap. It’s great for a good scrub after gardening or fixing your bike. I fixed a flat on Paul’s bike the other day and I used her soap to clean up. I was amazed at how easily the grease came off and also how nice my hands felt afterwards. My grandfather died 10 years ago today. Yes, Valentine’s Day 1999. It was the grandfather that I named my zine Brainscan after and even my coffee roasting after… which is a long story. I think I’m probably a bit fuzzy on the details but in the late 50’s or early 60’s my grandfather had a brain tumor and needed surgery. Brain surgery at the time wasn’t that fantastic and he had a 10% chance of survival… well, he lived through it although they had to severe a nerve in his face that left part of it slouching. I guess people thought it looked wierd, but to me that’s just how Papa always looked. He raised 5 children, and had several subsequent brain operations through the years. The tumors weren’t cancerous, just persistent and every few years when he would have trouble walking or start acting oddly they knew it was time for another brainscan. My grandfather was a very strong willed person who always seemed to have a plan as to what he was going to do next, like planning family reunions, world travel or even brunch dates. These things kept him going and kept him sharp and kept him optimistic. I have often thought about his determination in hard times and made plans for myself as to what I will do next. It sort of reminded me of Vikto Frankl and his book Man’s Search For Meaning that my Sunday school teacher used to talk about and the power of finding a reason to live, setting your path and making your plan. Since then at least 4 members of our family including my mother have had brainscans. It has gotten to a point of comedy with us. When my mom would find her self or any of us doing odd things or forgetting something she would say “BRAINSCAN! BRAINSCAN!” I thought it was a fitting name for my zine when I started it in July of 1997. My mom told me she thought it was appropriate too. I don’t really remember the call from my mom to tell me that Papa had passed away. I’m pretty sure I was a hungover after the night before. After splitting a bottle of champagne and a pitcher of beer at the Desert Edge Brewery with Paul, we heading to a wacky anti-valentine’s day show where I told the door guy a story of heart break that just happened to involve his housemate. He shared his box wine, I dancing around with a friend tearing down decorations and then ended up yelling at a guy on stage for breaking my sister’s heart… Apparently the universal tensions were riding high because that was really out of character for me. I flew up to Portland with my mom and took the train down to Eugene to visit my sister at the University. I stayed in her dorm room and rode bikes around town. Standing on that bridge over the rushing February Willamette I could sense something changing in me. I remember writing vaguely about it in Brainscan #8. Looking back now I realize I was on the cusp of a lot of things in my life. Soon I was loose Paul and my Christian faith and I would drop out of college and move to Portland. 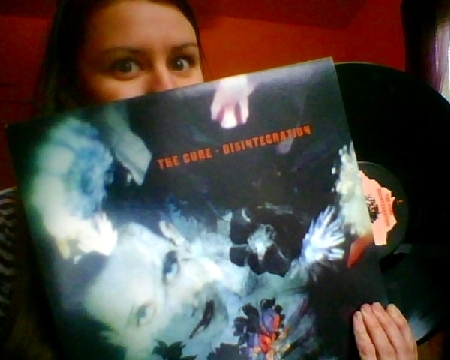 But that stirring of change was right there under the surface. I knew I needed something. Let’s switch gears, a month or so ago someone on Etsy purchased some of my Brainscan coffee for a friend who had just gone through brain surgery. I think they were pretty amused by the name of the coffee being Brainscan. 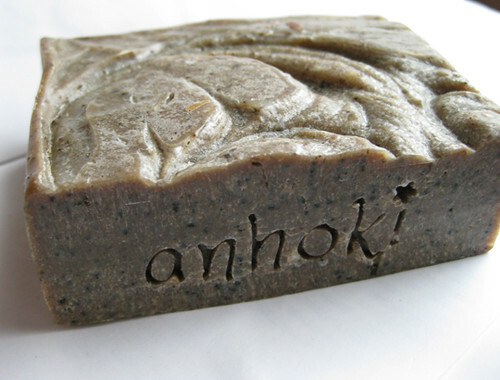 The person the coffee was purchsed for happened to be Anhoki from Etsy, a who makes soap. She contacted me about liking my coffee and telling me her surgery story. I spilled the story of where the name came from and eventually I proposed making soap with my coffee. I love coffee soap! Nothing beats getting bike chain grease or garden dirt scrubbed off your hands. It is also sometimes called Kitchen soap to get the odors of onions or garlic off your hands… I don’t mind those scents though. Well, I have been pushing through orders all week so that I can take today off for Zwickelmania. I’m hoping that Paul and I can hit these breweries: Amnesia, 5th Quadrant, Widmer, Rock Bottle and Deschutes before the Murder City Devils Show tonight.